Trading on Wednesday – 2018.03.21. Today will be a big day for FX trades. Some important decisons and economy numbers will probably move the market. We have three main currencies today, the GBP, USD and NZD. I bet that Claimant Count Change will move the market and this nuber will probably be a lower one than the expected. The Avg. Earning Index aseems almost the same like earlier, so the movement will be probably BEARISH. The Fed Interest Rate Decision is very important. The main problem with it, that the Fed will probably raise the Interest Rate to 1.75% (99% chance), and all traders know it. So what will happen with the USD? If the Fed somehow let the interest rate @1,50%, this will be a huge surprise. The USD price will fall! If the new Interest rate will be 1,75% the USD will probably become stronger. BUT as I said all traders/investors wait tor this scenerio so there is a chance of low movement. SO, everyone will wait for the Press conference, where we will receive more information about the Decision and the future plans. This will help the investors/traders to decide about the investment values, and that can really move the market for longer term. My bet is a BULLISH movement for today. The Reserve Bank of New-Zealand will also decide about the Interest rate. They will probably let the rate @ 1,75%. I think it will only generate a short term movement. My bet is a BEARISH movement. Many new friends joined us in the last some days and as I said we’ll earn real good profit this week. This movement is started. We can see many signs to trade and I’m sure that these will be comfirmed soon. Contact me if you want to start earning money with Forex. Invest, learn with a successful team! Trading on Wednesday – 2018.02.21. Wednesday will be the first active day of the week. During the EU session Manufacturing PMIs will be published, but the main and most important will be the Inflation Report Hearings of the UK. The US sessin will be active too. After the US PMI and Home Sales numbers @ 20:00 (GMT +1:00) the FOMC Meeting will start. So what I’m expect about tomorrow. First of all stronger AUD. AUD ‘s price is still low and sisn’t jumped, however the economy numbers are not that bad. The 2nd currency is the EUR. It will go up and down again. The numbers will probably be mixed and I don’t think that we’ll see real high or low PMI numbers. GBP can be the big market mover tomorrow. I bet on a big positive movement after the Inflation Report. We’ll not trade with GBP, because we don’t know the exact inflation datas and we also don’t know what will the Monetary Policy Committee Members say. The US session’s main event is the FOMC Meeting Minutes. The last some FOMC Minutes did not moved the market too much, because nothing interesting happened. But this time I think the maket will move bigger, and I’m waiting for a positive movement. About the pairs we’ll check. We’ll wait for the news, economy number publishments, meetings and speeches. We’ll trade mostly after the news, waiting for retracements. We’ll have many trading options, but mostly in the afternoon. Come back some hours later to check the fresh trades! Trading on Thursday – 2018.02.01. Today, I was not lucky with the news. During the day every movement ruined the signals was near to confirmation. But @ the end the FOMC Statement and the Interest Rate Decision helped. The FED kept the Interest rate between 1,25%-1,50%. READ ABOUT THE MEETING HERE! If you analize the USD chart in the 15M and 30M you can see Bullish candle stick pattern and the 1H technical analysis also shows Bullish direction. So the last 2 candle must be a small retracement. Talk some words about the news tomorrow. You can see that tomorrow will be filled with fresh economy numbers, but the most importants will be the German (EU’s leader’s), the British and the US Manufacturing PMI. These can make the biggest movements tomorrow. Today, the Forex Strategy Course students made many clear and fast trades, with EURJPY, GBPAUD, EURUSD and generated 30-70 pips profit easily. If I’m right and USD will become stronger tomorrow, we’ll receive clear signals to EUR, and USD pairs and to GOLD too. GBP also can be a good option, but mostly if the British PMI will be worse than the expected. JOIN THE BEST SIGNAL AND FOREX TUTORAL PROGRAM WITH DISCOUNT! “The dollar came under renewed selling pressure on Wednesday, sliding lower against a basket of the other major currencies ahead of the Federal Reserve’s policy decision. The dollar has come under pressure as it has lost its relative yield attraction for investors. A faster rate of monetary tightening outside the U.S. would lessen the divergence between the Federal Reserve and other central banks. The dollar showed limited reaction to U.S. President Donald Trump’s State of the Union speech, in which he urged Congress to pass legislation to stimulate at least $1.5 trillion in new infrastructure spending. 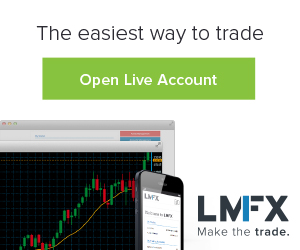 2 place available in the FOREX STRATEGY COURSE – DISCOUNT PRICE FOR 48 HOURS! Trading on Wednesday – 2018.01.31. Lets talk about tomorrow news.The Asian Session will start with Japanese and Australian numbers. We’re interested in the Australian CPI and if it’ll be good, it’ll help us to close the AUDNZD trade. The 2nd thing we’re waiting for is the Trump Speech, what can help the USD to become stronger again. The European economy numbers will be published from 8:00-11:00. The forecasts shows weaker numbers than the earliers. I’ll be real happy if the EUR will become weaker. During the US session the US employment datas and the Canadian GDP will be published first, but we have to be careful because of the FOMC Statetement and the Interest Rate Decision. So, as you can see, tomorrow will be full of happenings what can ruin or help our trades to close fast. I’ll be real careful tomorrow, so we’ll only make short trades and we’ll hedge our trades near the important news. Come back tomorrow and check the new trades, or join the EXPRESS SIGNALS now and receive the signals on time. I’ll finalize this post when all the trades will be closed (I hope it will be done before the FOMC Statement). I’m in vacation right now, so I will not make too many trades today before the FOMC Statement. You also have to worry about GB’s PMI and other US news before the Statement, so if you’re using my trading strategies today, don’t forget about these events, because these can ruin your trades. REGISTER TO MY SERVICES NOW WITH 25% DISCOUNT!!! CLICK HERE! Only paid signals until 5th of Nov.